The capital of Upper Austria straddles the Danube. The heart of the 2,000-year-old city is the central square (Hauptplatz) lined with stately Baroque buildings and Renaissance courtyards. In recent years Linz has managed to change its image as a grimy industrial center thanks to new environmental regulations governing steel production and the increased promotion of cultural activities. Indeed, Linz was named the Cultural Capital of Europe in 2009. 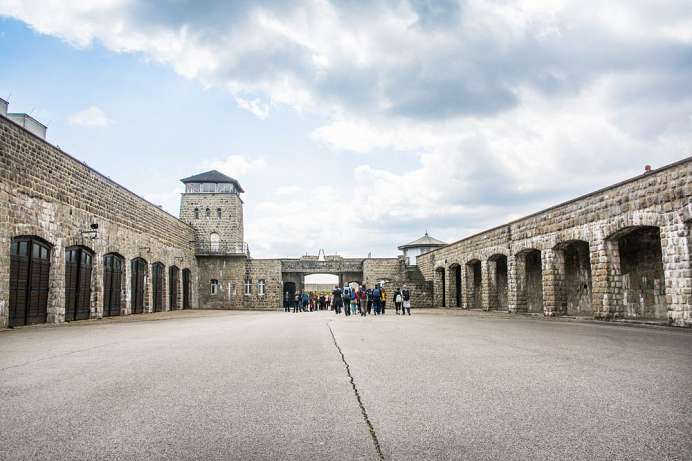 The largest concentration camp in Austria is located south of Linz in the town of Mauthausen. It began operating just ten days after the German occupation of Austria. It was a category III camp where people died performing slave labor. Starting in 1942, there was a camp brothel in which women who were considered “asocial” were forced into prostitution. In February 1945, 500 Soviet officers attempted to flee from death-block 20. Nearly all of them were killed during the following three-week manhunt. Only eleven survived, because the local population hid them. Before being liberated by the US Army in 1945, over 120,000 people perished in the quarries and in the surrounding area. There is a monument located at the site of the former concentration camp.